(TibetanReview.net, Jul21, 2018) – China is on the wrong side of the religious freedom which is a fundamental human right, US Secretary of State Mike Pompeo has said Jul 20, ahead of the opening next week of a three-day international conference on religious freedom. He has also said the Trump administration was considering taking multiple actions against Myanmar on the Rohingya refugee crisis. He was stated to be responding to a question on repression against the Uighur Muslims and Tibetan Buddhists in the People’s Republic of China. 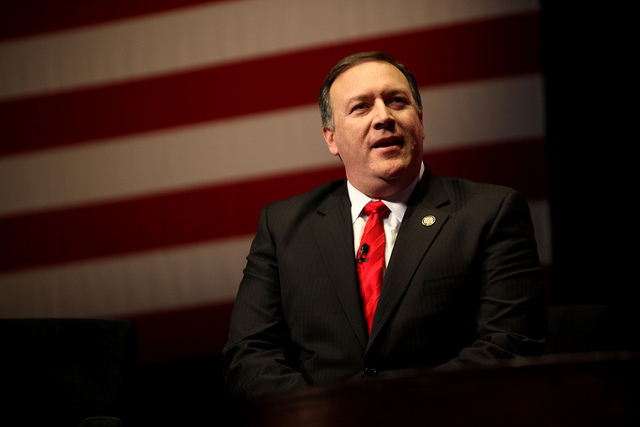 Pompeo has said the US puts religious freedom, this fundamental human right, at the very center of its discussions with every country with whom it interacts. He has added that the US stood as an enormous beacon of religious freedom. The conference on religious freedom is being hosted by the State department. It will bring together government officials, representatives of international organizations, religious leaders, rights advocates and members of the civil society from around the world, reported the PTI news agency Jul 20. US Vice President Mike Pence will deliver a key note address at the conference.